in a new shift in our world – it is now! to a new level of understanding – it is now! calling all of us to stand – it is now! the universal intelligence that we each have within? This event will open the Evocative Path for Leaders and provide immersion into the nature of Leading from an evocative stance. Participants will experience an expanded view of leadership as we learn to awaken the universal intelligence that lives within and participate in evocative ways of calling forward potential and possibilities. The entire teaching team will be present at this event, giving you a chance to experience their presence and the way they hold the container. This is a “Portal” gathering – the opening door to the Evocative Leadership Mastery™ Training Program beginning in November 2019. Click here to read more. The time has come, when leaders in the world are called to evoke a higher consciousness in the self and in the systems they care for. This higher consciousness is based on respect for all life and on the collective wisdom inherent within each of us. The wisdom of the Earth cultures around the world has much to offer today on how to support humanity in this time of transformation. 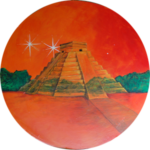 The Evocative Leadership Mastery™ journey arises from the ancient wisdom of the Maya and Pre-Maya culture. 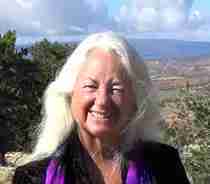 WindEagle is a Keeper of “The Origin Teachings of the Delicate Lodge” and Co-Founding Director of Ehama Institute of New Mexico. WindEagle is dedicated to the mending of the hoop and our evolving consciousness. Please transfer the tuition part directly to Ehama Institute here: https://www.ehama.org/payment.php. Visa or Master Card can be used. Please pay the tuition before July 1st, 2019. In case of cancellation after July 31st, 2019, the tuition fee will not be refundable. Participants will need to book overnight accommodation separately.